Spoiler Alert! 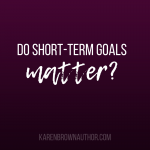 Short-term goals matter just as much as long-term goals! 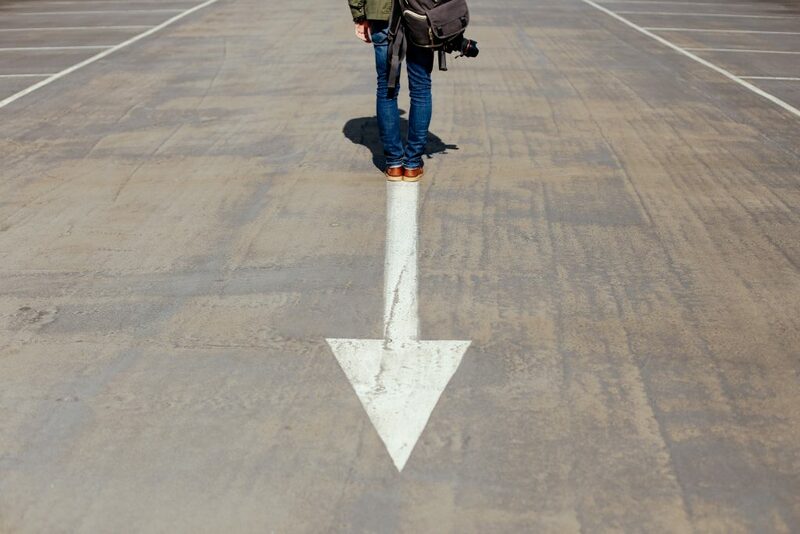 It’s a well-documented and proven concept that setting short term goals lead to long-term goal achievement. They are the stepping stones along the pathway to success. And it’s not just the subject of this blog. As a subject-matter expert through my study and work with leadership clients, I see a few things that trip people up and “spoil” the short term goal and ultimately, long-term achievement. Spoil #1: There is no perfection, there is only progress. Be careful to adjust your expectations along the way. I find people get twisted up and sometimes stop because a short term goal isn’t achieved or the way they expected. When I was training for Ironman, I expected to qualify for the World Championships at the Boulder half Ironman. It would have been so perfect, so poetic to qualify in my home-state among friends, peers and my coaches. I was crushed when I looked at the list and found my name a staggering 34th place in my age group. After picking myself back up, knowing I would one-day get there and determined to keep going, I entered the Ironman lottery for the second time and with odds smaller than being hit by lightening, I got in! I had to let go of the “perfect” expectation to achieve the long-term success. Spoil #2: Not celebrating smaller WINS and VICTORIES. These feel great and allow you to look back at how far you’ve come, which tells your unconscious mind that you can keep going. This becomes your pattern…a pattern of achievement. You see along with it all the tough things you worked through, learned and negotiated. During my Ironman journey, every time I achieved something new or hard for me, I celebrated. Perhaps with a Starbucks treat or mentioning to a friend/spouse/colleague what I did that brought a big compliment. I sometimes would post on social media to celebrate. Also, sharing with your coach is a great way to celebrate. I also documented the small wins in my training log and journal so I could look back and see each thing I overcame and the small wins that led to big ones. Spoil #3: Along the way, your short or long-term goal feel empty. If this is the case, examine WHY. Perhaps there is no emotional tie to it. Or, you’re just tired. If this is the case, adjust it! Find something in the long-term goal that you tie into emotionally. Something that gets your blood pumping and heart racing. Also, make sure you are getting enough sleep/recovery or time away from it. Sometimes, we kill ourselves achieving short-term goals that by the time we get to the long-term, cause us to be exhausted and give up. This was the case with my Cambridge Half Ironman race. It was a pivotal race because by completing it, I validated my Ironman World Championship slot. The race was in June and I had been training relentlessly for months with no break and many competitions. I was physically, mentally and emotionally exhausted. So much so, that when I got there, I simply didn’t care; and I didn’t perform well. I made costly mistakes and was resentful of having to race, instead of being happy and grateful to celebrate achieving this short-term goal that ensured I would achieve my long-term. If these resonate for you, try the solutions I’ve mentioned. When you use these, you won’t spoil your own goals, you will achieve them and open up new possibilities of achievement.